How about this?! 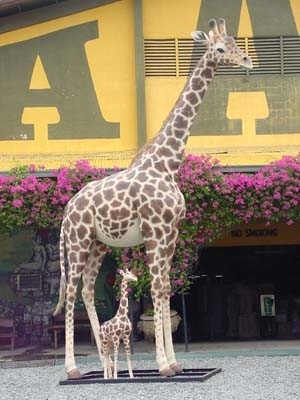 A life-size Giraffe standing at 19 foot tall..this is one of our biggest and most impressive pieces. It is sure to create interest where-ever it is used. This 19ft tall replica adult Giraffe is a fantastic statement piece that looks unbelievably life-like. 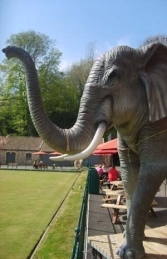 This resin and fibre-glass model would make a striking centre piece or feature in any theme-park and is ideal for generating interest in a business. 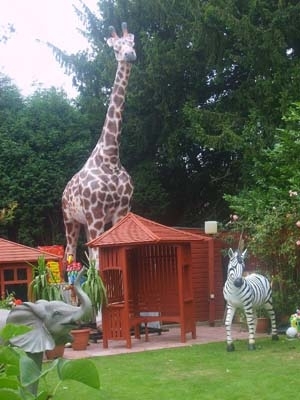 We have even supplied one to a customer who had the Giraffe erected in his sub-urban garden (really keeping one step ahead of the neighbours in the garden feature stakes). This model adds height to any safari theme display and is fantastic to use in combination with our Zebra (JR 1948), 6ft Baby Giraffe (JR 2234) and Elephant models. 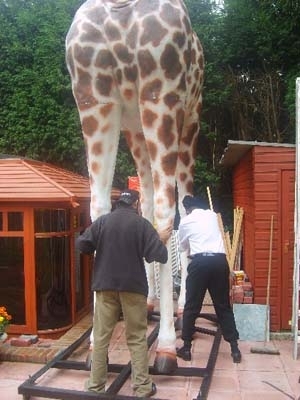 The large Giraffe model comes in 7 pieces to be assembled on site, & is suplied with a metal frame base, which can be fixed to the ground for added stability. NB-THIS MODEL IS ONLY AVAILABLE TO SPECIAL ORDER WITH A LEAD TIME OF APPROX 8 WEEKS. 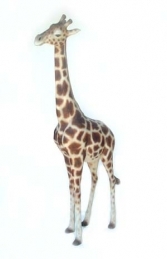 PLEASE CONTACT US ON 01626 833646 or 07860 680181 TO DISCUSS THIS MODEL & THE OTHERS IN OUR WILD ANIMAL SERIES. PLEASE PHONE US TO PLACE AN ORDER & FOR A QUOTE FOR DELIVERY COST TO YOUR POSTCODE. NB -DELIVERY - Please note that the delivery price quoted through the website ordering system is based on average delivery costs to mainland UK address when the ordered item or items are sent through a pallet-line service. (A next day courier service can be used for smaller models & figures). Please phone to confirm cost. For large items the delivery cost relates to the number of lorry pallet spaces required. 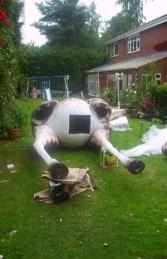 However, wherever possible we try to personally deliver large items to your door when we can combine deliveries in an area; this does require flexibility for delivery date. Delivery charges on orders for multiple items will of course be discounted accordingly.